Exacticide Applicator Duster - PFC Complete Kit is a fine granule applicator and electric power duster with a non-adjustable and an adjustable flow rate from low to medium and vice versa. This applicator is battery operated allowing the versatility required to complete various types of job if not all. It provides precise application of all fine granules while preventing over application making it a cost-efficient choice. This applicator system is proven to be a multifaceted pest eradication tool which can be used for exterior and interior applications. Cracks and crevices including hard to reach areas are now easy and uncomplicated targets with this applicator. 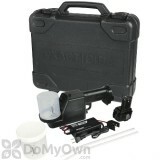 It comes with a carrying case making storage easy. Each Exacticide Application Duster comes with a carrying case, a rechargeable Makita battery, a battery charger, 2 dust canisters, and 2 12-inch wands. Charge the Makita battery that came in with the applicator. Plug the charger into an 110V outlet, or car charger. Place the battery into the charger. Make sure the red light goes on. Allow 50 minutes for the battery to fully charge or 15 minutes for a quick charge. 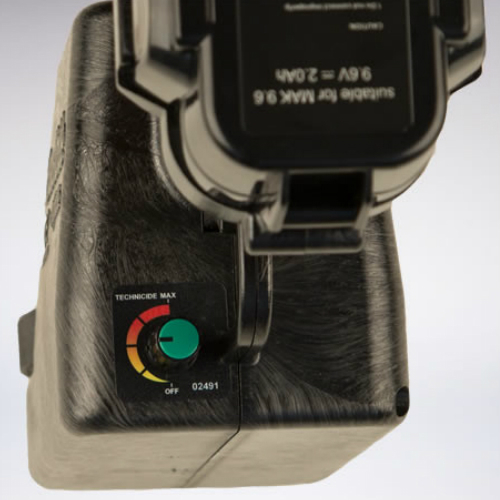 Once the battery is charged, push the battery into the applicator until the gray tabs click into place. Squeeze the gray tabs and pull to release the battery. 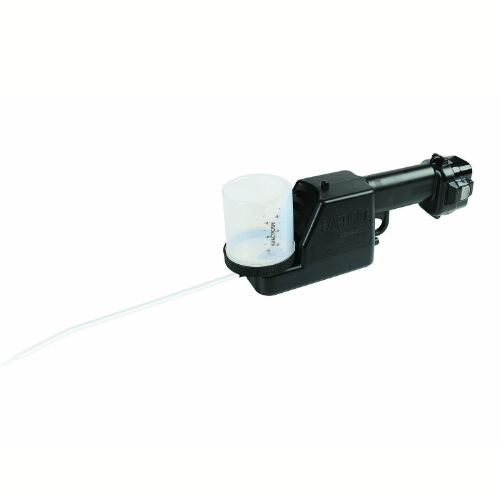 Attach a pre-filled chemical canister to the applicator by turning it over so the trigger is on the top and the applicator is in a horizontal position. Remove the canister cap and twist the canister into the receiver of the applicator. Tighten the canister until snug but do not over tighten. Also, take care to not to cross the threads. When secure, turn the applicator over for operation. To apply dust or fine granules, place the wand into the nozzle at the front of the unit then twist and push until snug. Turn the applicator upside down (trigger up, canister down), adjust the dial to the highest setting, and squeeze the trigger for 5 seconds in the direction of the target area. Now that the motor is warmed up, adjust the dial to your preferred setting, flip the applicator right side up, insert the tip into a crack, void or in the direction of the target area, and squeeze the trigger. Release the trigger to stop the application. Please note that you must pause for 1 second between trigger pulls at the lowest settings. I have wanted one of these for a few years now and finally saved enough to get one. I've read reviews and watched videos as I do with everything I buy and the only bad one was the price. When DMO started selling these I just had to get it then. It has saved me alot of time on jobs and can reach places without a ladder. This is a next-level piece of equipment. One of my best purchases ever. Product is great...price is not. The product is amazing and works incredibly well and great in many ways...but the price is absurd...very absurd. But...if I invented it...I'd sell it for as much as I could also. 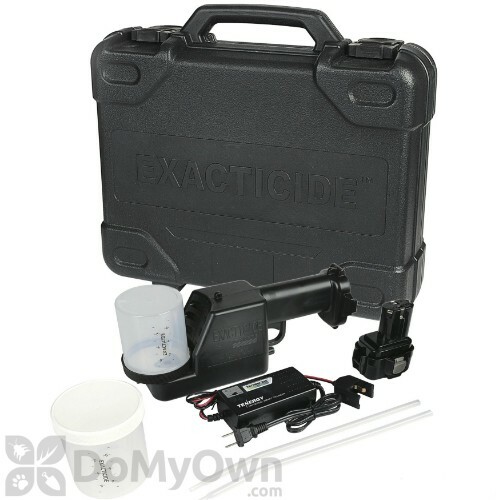 How many batteries come with theExacticide Applicator Duster - PFC Complete Kit? What other that's released can we get to go with the Duster? 1 Makita Battery comes with the Exacticide Applicator Duster - PFC Complete Kit. 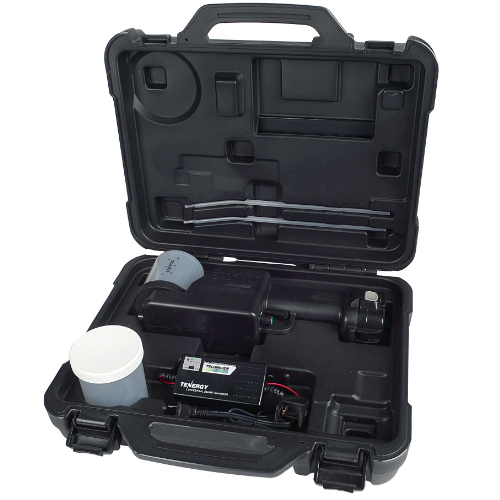 We do not currently carry the battery for this unit but can look into pricing and availability if you wish.